Terri received her degree from Queen’s University in Kingston Ontario Canada in 1987. She has worked in the industry for over 30 years, including major ski resorts in both Canada and the United States. Her post graduate education has focused on Orthopedics and Sports Medicine. She is a Certified Orthopedic Manipulative Therapist (COMT) and has received her Level 2 Certification in Trigger Point Dry Needling. Her experience has enabled her to work with patients ranging from weekend warriors to elite athletes. 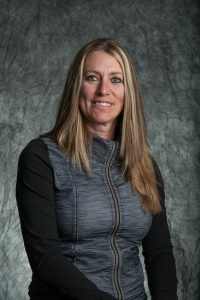 She moved to Summit County in 1999 and enjoys the beauty of the Colorado mountains. In the winter, you can find Terri nordic and downhill skiing and mountain or road biking in the summer.